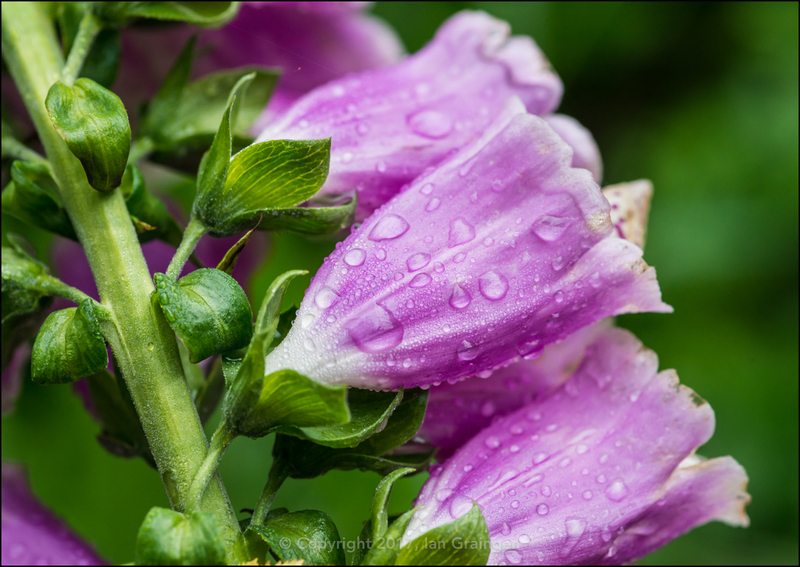 This week, my weekend photo shoot was once again wet, and temperatures had dropped severely, just about reaching the double figure mark of 10°C. I was also suffering from cellulitis, which meant my photo shoot was doubly miserable. 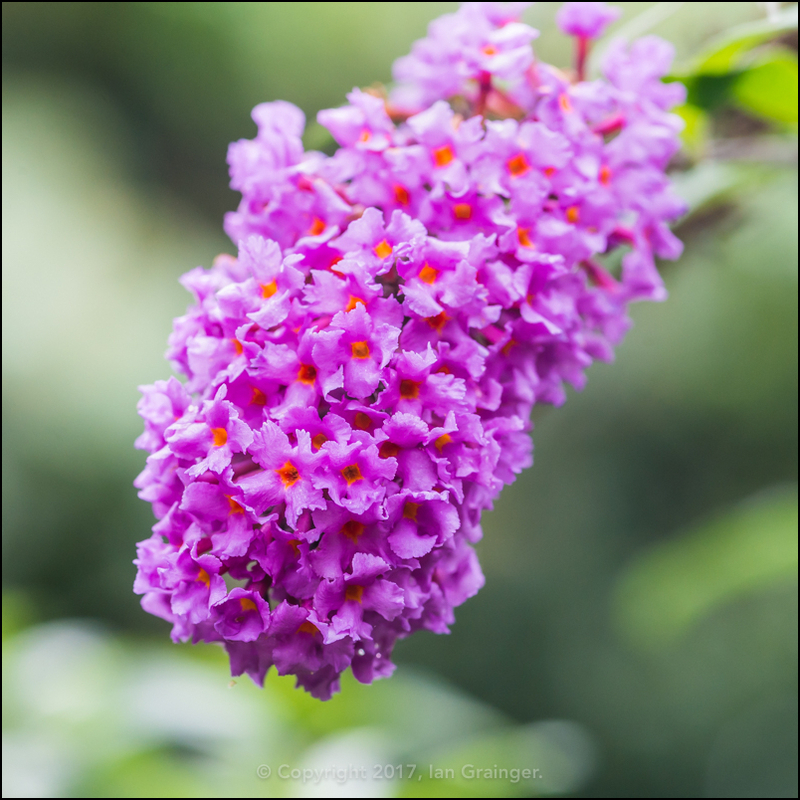 However, I did my best to pick out some colourful images from dad's garden, where everything was receding into Autumn. 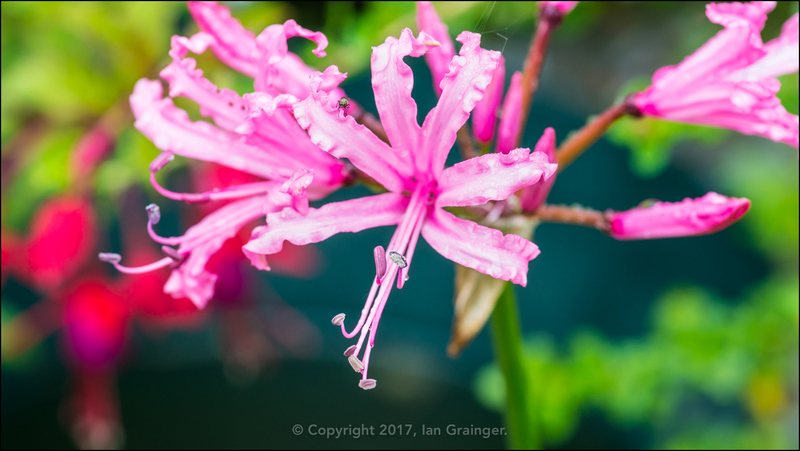 The Guernsey Lilies (Nerine bowdenii) were by far the most colourful flower in the garden, and I thought this particular one was looking stunning. It even had a tiny admirer, sitting on the crinkly petals. 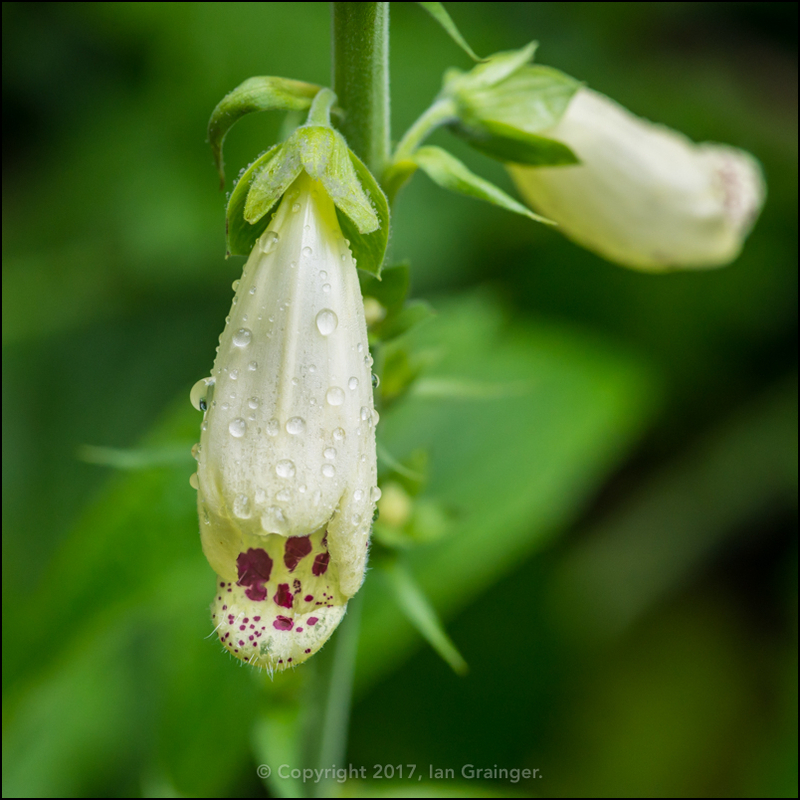 I was still a little bemused about the arrival of the Foxgloves (Digitalis) at this time of year, as I wasn't expecting them to flower until next year. The pink ones had now been joined by these lovely little white ones, making me scratch my head even more. 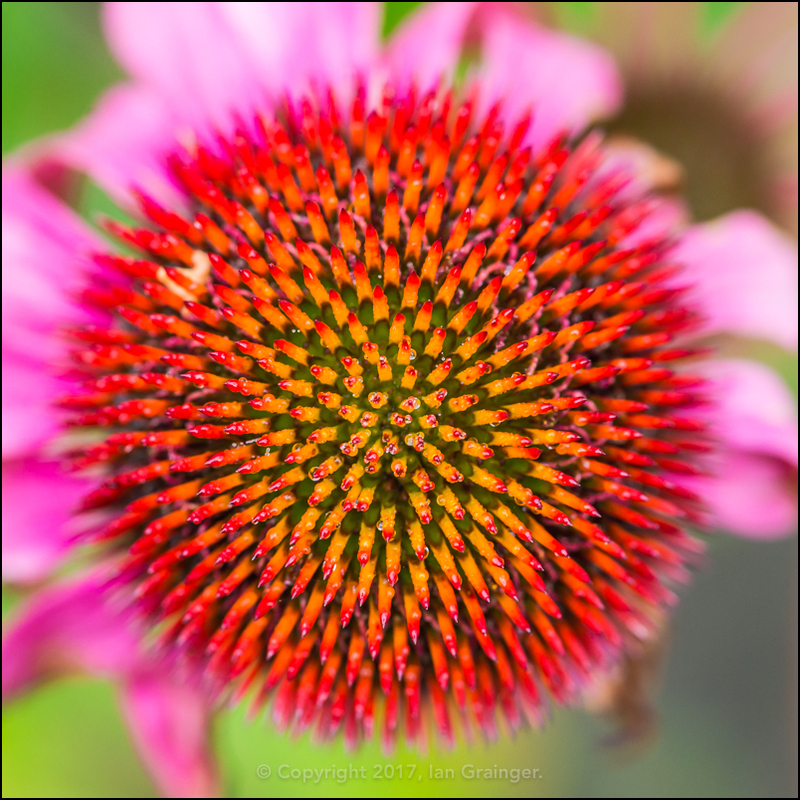 The Coneflowers (Echinacea) had begun to put on a really marvellous display, and I loved how the centres looked like colourful explosions. 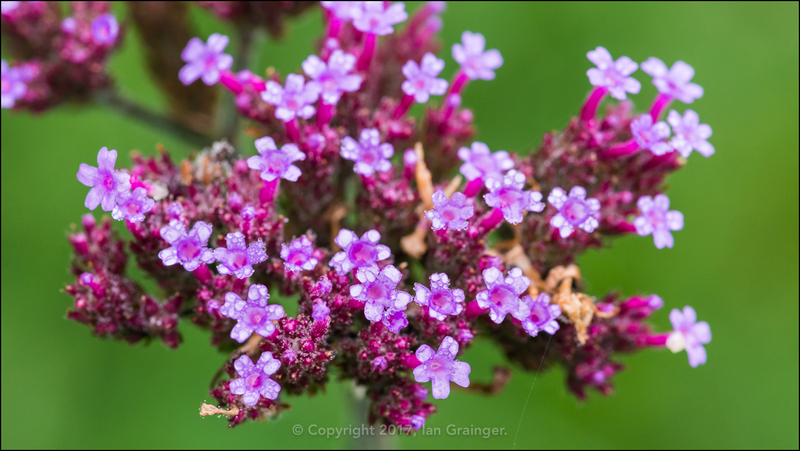 The Verbena 'Buenos Aires' (Verbena bonariensis) was still going strong, although with it being so wet and cold, there were no visiting insects for me to photograph. 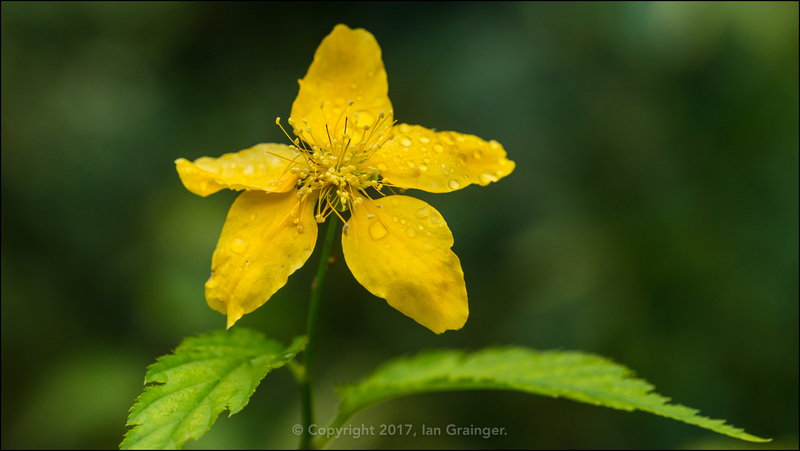 One of the St John's Wort (Hypericum) bushes had decided to start flowering again, despite already having flowered once earlier in the year. No one was complaining though, as the flowers are quite lovely. 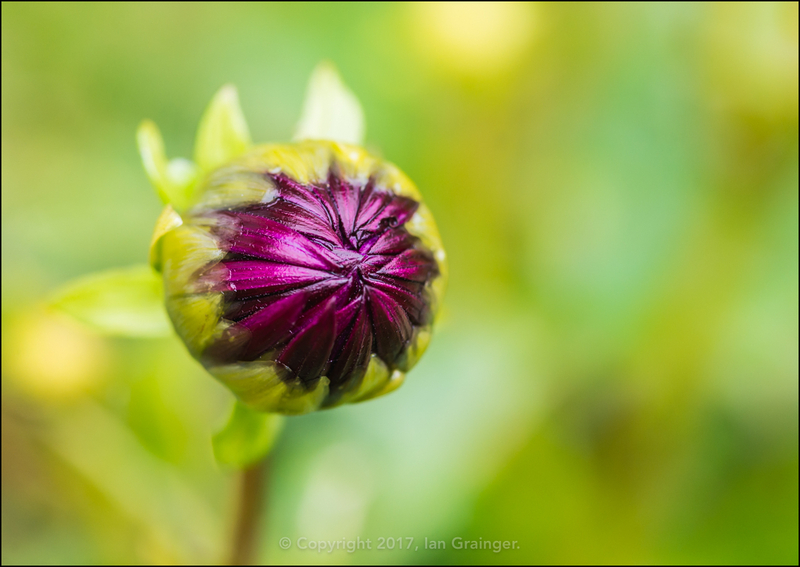 The Dahlia 'Nuit D'ete' had already produced literally dozens of flowers, and there were still plenty of flower buds left to pop open. ...and yellow varieties had only a few flower spikes left to open. 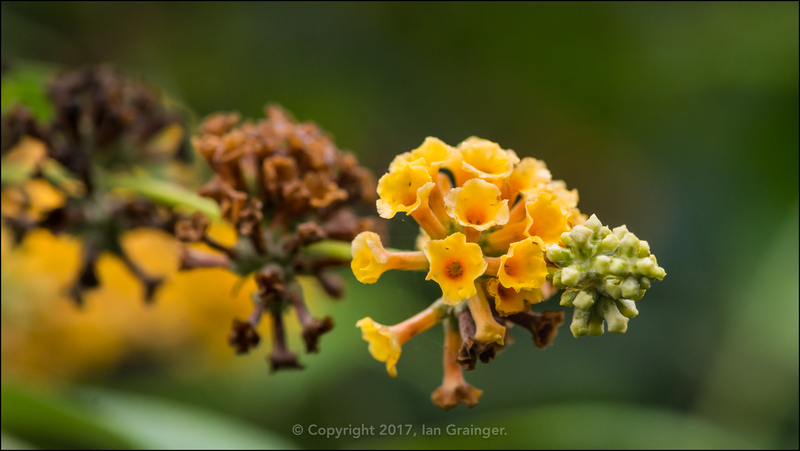 I really like how this image shows past, present and future generations of flower! 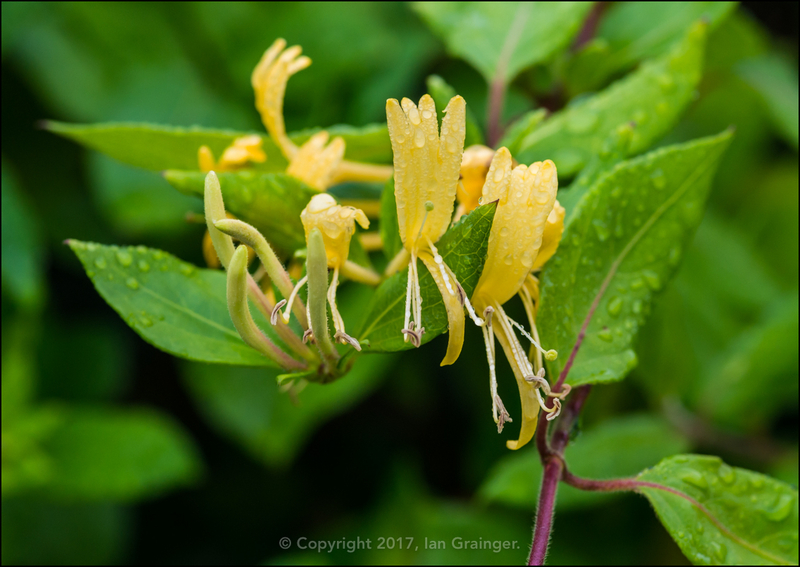 While some flowers were still hanging on to Summer, others were getting ahead of themselves, with this Winter Honeysuckle (Lonicera fragrantissima) bursting into bloom. 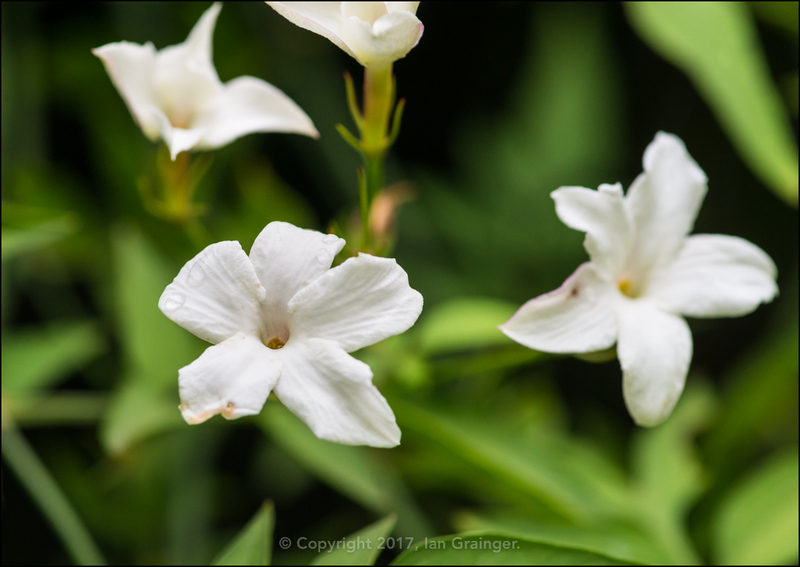 Actually, it has borne flowers nearly the whole year round. 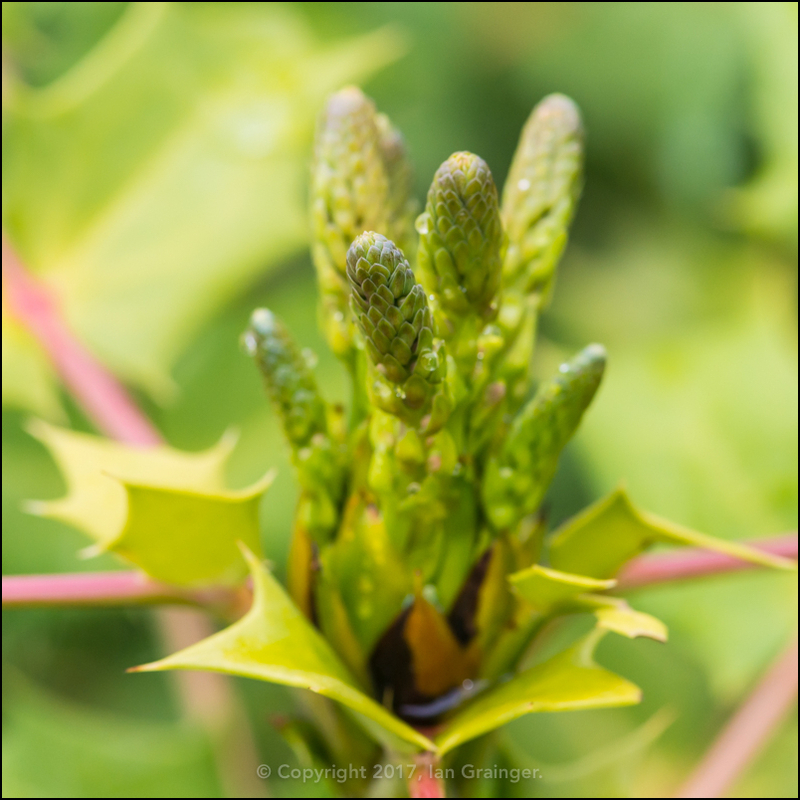 The Mahonia japonica bush was also well ahead of schedule, already starting to produce flower buds. This shrub normally flowers from late November, all the way into March! 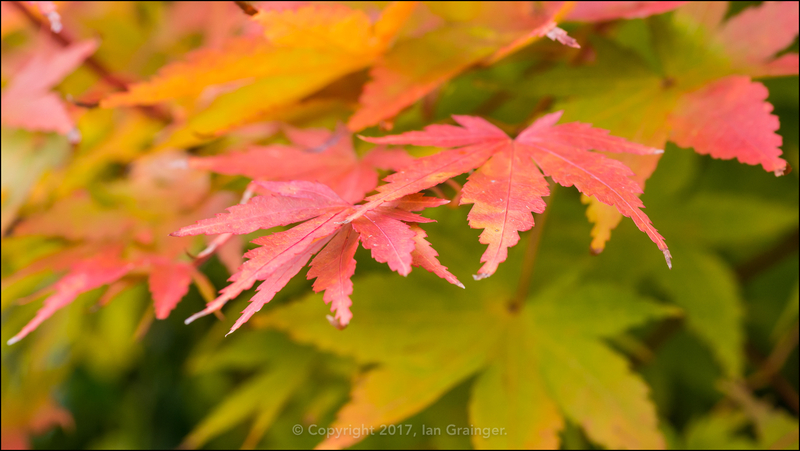 At least the Acer palmatum trees were keeping to the schedule, with leaves looking more autumnal every week. 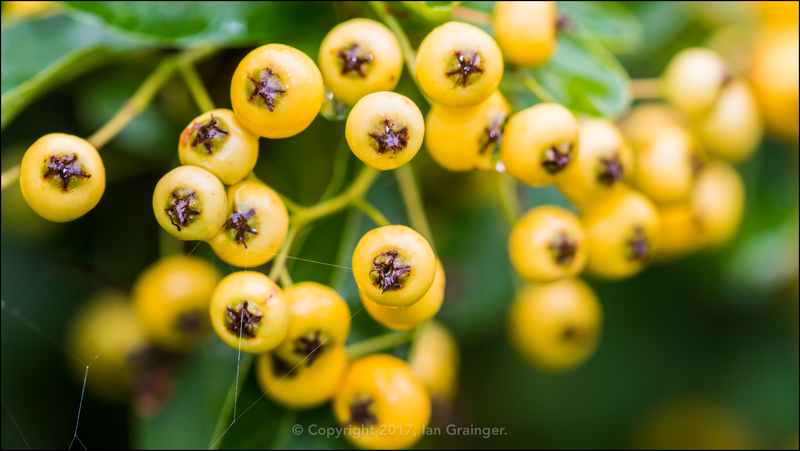 The Firethorn (Pyracantha) berries were also keeping time with nature, with yellow berries that would soon be turning orange, ready to give the birds a good feed when the weather turned frosty. 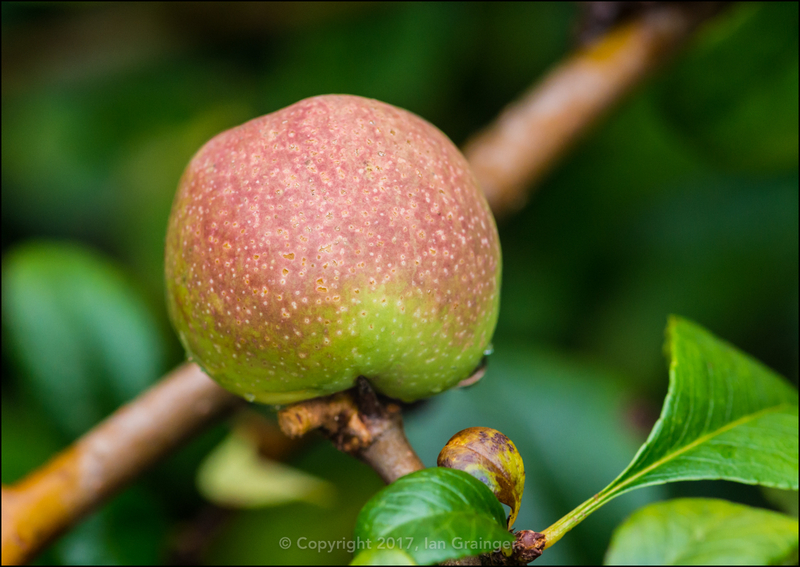 Even the Quince (Chaenomeles) bush had plenty of branches generating fruit, that would be ready for a Christmas jam making session maybe? 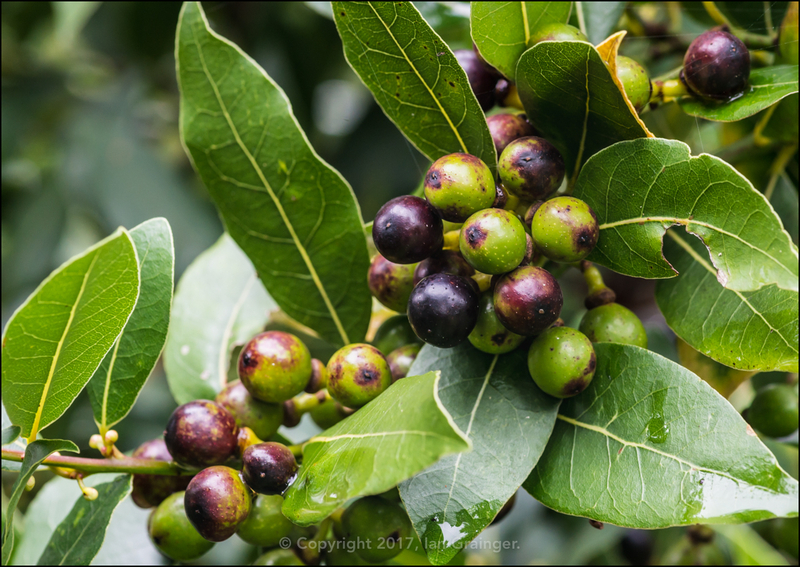 The Bay Tree (Laurus nobilis) berries were also starting to turn black, which was another indication that we were in the Autumn season. 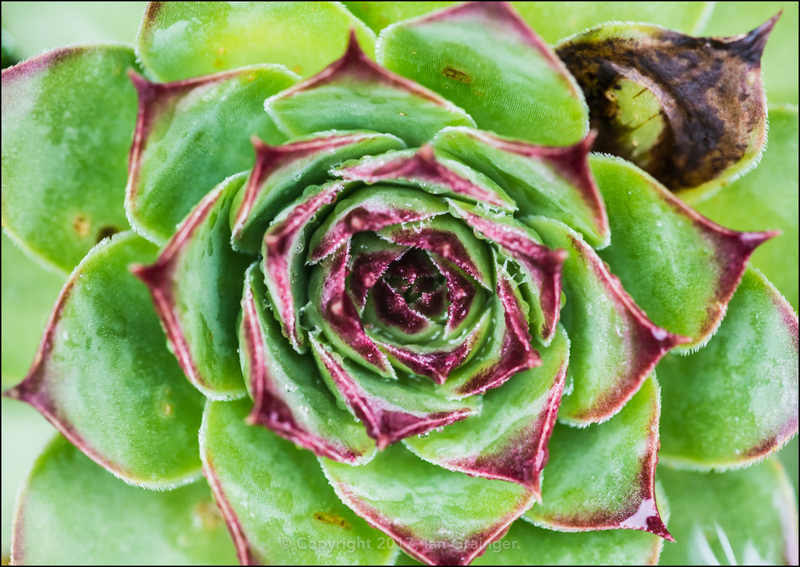 Nothing to do with seasons, but I thought I'd throw in a picture of one of the Houseleeks (Sempervivum) we brought back from a trip Northwards earlier in the year. They're doing great in their new position in the garden. As mentioned earlier, it was too cold and wet for insects, but there were plenty of arachnids about. This Garden Spider (Araneus diadematus) being one of them. 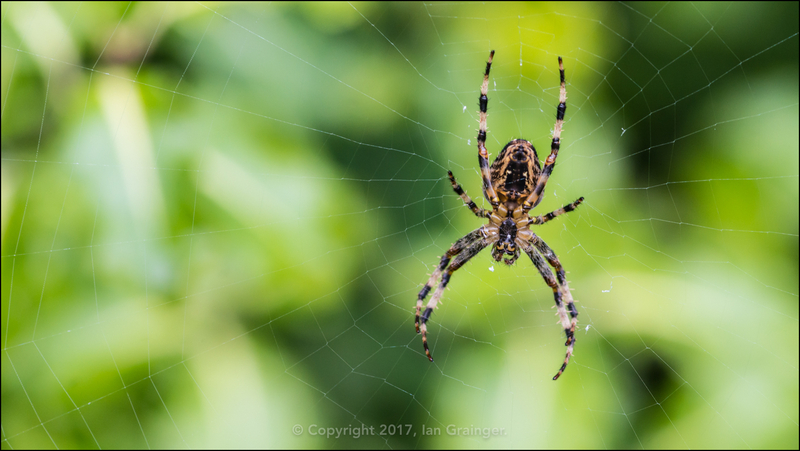 If you want to know a little more about our Garden Spider, why not take a look at this previous article. 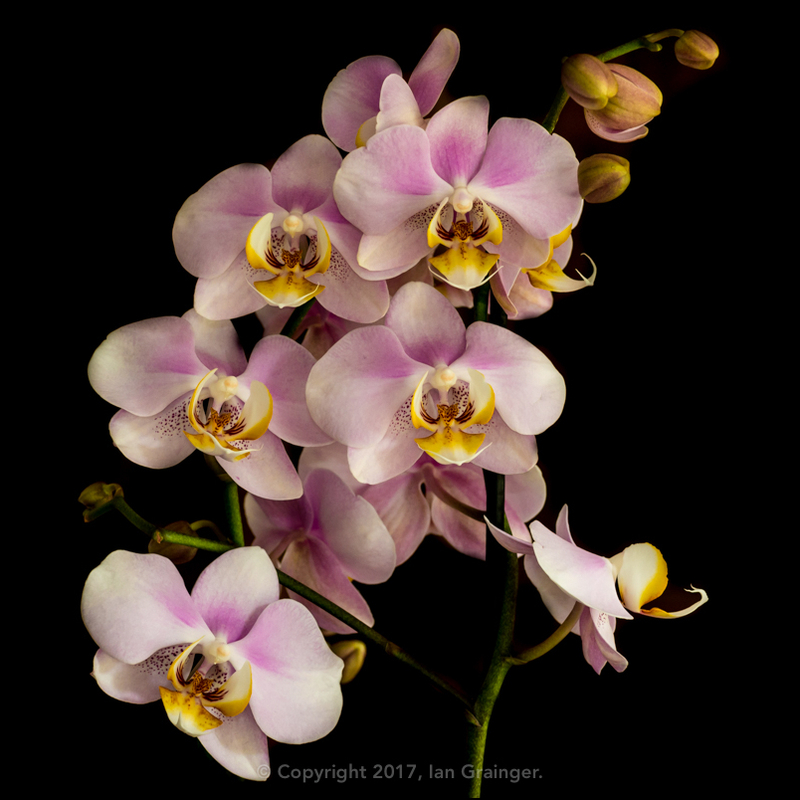 Moving indoors, and there was a new plant to admire, a Moth Orchid (Phalaenopsis). They were one of my mum's favourite flowers, so we thought it would be fitting to buy one to commemorate the ninth year of her passing away. Finally, I'm still trying to improve my photographic skills when it comes to capturing my aquatic friends. 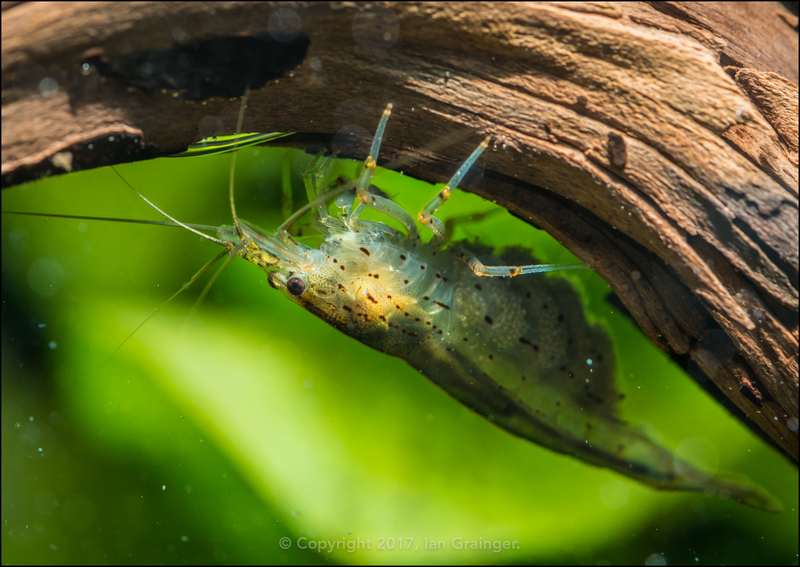 This week I had another go at photographing one of my Amano Shrimp (Caridina multidentata) colony. I finally got around to using off-camera flash, and it made a huge difference. Placing the flash above the tank, and resting it on the glass top allowed lots of light to flood the tank. I'll definitely be persevering with this method next time I photograph anything fishy!